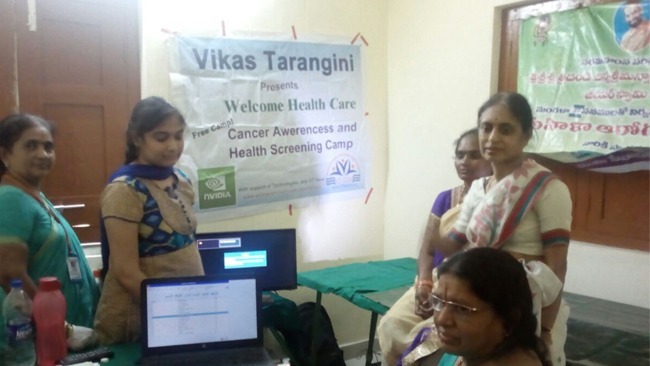 A total of 217 women turned up for the cancer awareness camp conducted by Vikasa Tarangini. 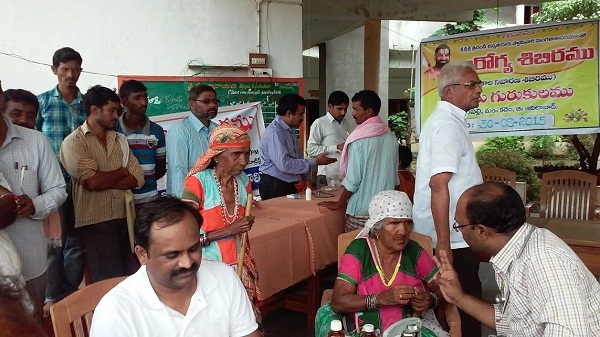 Free check-up using colposcope and further medication as required was done free of cost by the team. 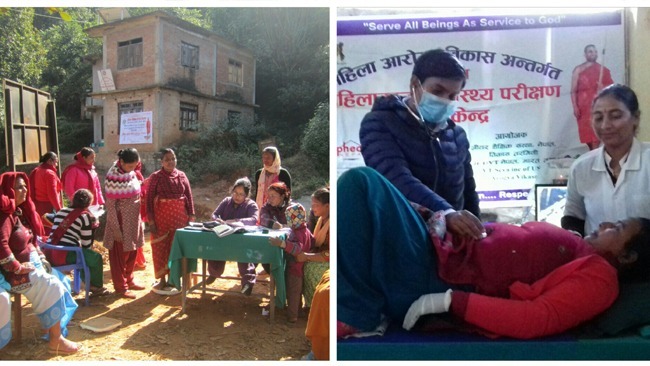 The aim for all the efforts is only to see lesser suffering amongst the women. 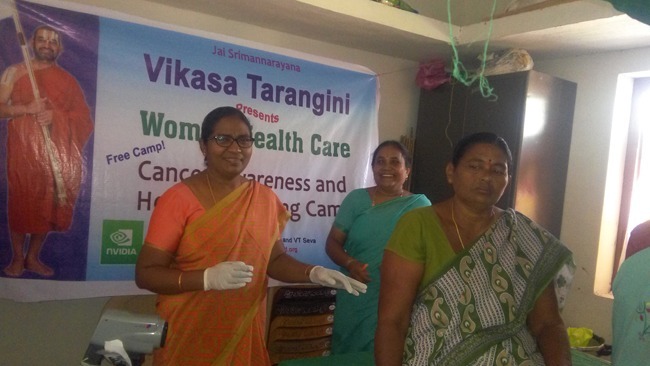 Iruvulla Lakshmi Narasimha Rao ji, the president of Arya Vysya Kalyana mandapam began the camp and offered the place for free to conduct the check-ups. Sri Chinna Jeeyar Swami’s guidance to the team of Mahila Arogya Vikas is reaching thousands of women every year!